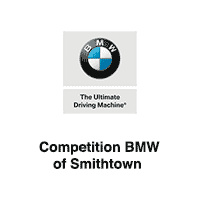 If you’re searching for pre-owned car dealerships near Smithtown, then take advantage of the extensive pre-owned car inventory available at Competition BMW of Smithtown. We want you to drive home to Smithtown in a pre-owned car you feel good about, which is why we thoroughly inspect each and every vehicle for quality. And because we want you to get a great pre-owned car deal, we offer plenty of pre-owned vehicle exclusive offers to further sweeten the deal. Explore our inventory online before visiting us for a test drive! CARFAX 1-Owner, BMW Certified, ONLY 24,916 Miles! EPA 35 MPG Hwy/23 MPG City! Heated Seats, CD Player, iPod/MP3 Input, Onboard Communications System, Dual Zone A/C, Keyless Start, Aluminum Wheels, DRIVER ASSISTANCE PACKAGE AND MORE! KEY FEATURES INCLUDE All Wheel Drive, Rear Air, Turbocharged MP3 Player, Keyless Entry, Child Safety Locks, Steering Wheel Controls, Electronic Stability Control. OPTION PACKAGES DRIVER ASSISTANCE PACKAGE Rear View Camera, Park Distance Control, HEATED FRONT SEATS. BMW 320i xDrive with Jet Black exterior and Venetian Beige SensaTec interior features a 4 Cylinder Engine with 180 HP at 5000 RPM*. EXPERTS RAVE Edmunds.com's review says From its sporty driving character to its refined ride and cabin, the 2016 BMW 3 Series is exceptionally well rounded. It's a highly desirable compact luxury sport sedan, and one of our favorites in this class.. Great Gas Mileage: 35 MPG Hwy. BUY WITH CONFIDENCE Unlimited Miles for 1-Year plus the balance of original new vehicle warranty (4-Year/50,000-Miles), 24-Hour BMW Roadside Assistance, Comprehensive Inspection and Reconditioning, Trip-Interruption Services, Trip-Planning Services WHO WE ARE Family owned for over 50 years, Competition BMW of Smithtown has been providing exceptional customer service to the Smithtown, New York area. We strive to exceed your expectations when buying your next car. The experienced and professional sales team at Competition BMW isn't satisfied until you are driving off of the lot in the car that is perfect for you, and your lifestyle. Horsepower calculations based on trim engine configuration. Fuel economy calculations based on original manufacturer data for trim engine configuration. Please confirm the accuracy of the included equipment by calling us prior to purchase. CARFAX 1-Owner, BMW Certified, LOW MILES - 21,397! EPA 35 MPG Hwy/23 MPG City! Navigation, Sunroof, Heated Seats, All Wheel Drive, Rear Air, Onboard Communications System, CD Player, iPod/MP3 Input, Turbo Charged, MOONROOF AND MORE! KEY FEATURES INCLUDE Aluminum Wheels, Keyless Start, Dual Zone A/C Keyless Entry, Steering Wheel Controls, Child Safety Locks, Heated Mirrors, Electronic Stability Control. OPTION PACKAGES NAVIGATION SYSTEM Remote Services, Advanced Real-Time Traffic Information, BMW Online & BMW Apps, Instrument Cluster w/Extended Contents, MOONROOF, DRIVER ASSISTANCE PACKAGE Rear View Camera, Park Distance Control, HEATED FRONT SEATS, SPLIT FOLD-DOWN-REAR SEAT. BMW 320i xDrive with Mediterranean Blue Metallic exterior and Venetian Beige SensaTec interior features a 4 Cylinder Engine with 180 HP at 5000 RPM*. EXPERTS RAVE Edmunds.com's review says From its sporty driving character to its refined ride and cabin Great Gas Mileage: 35 MPG Hwy. SHOP WITH CONFIDENCE Unlimited Miles for 1-Year plus the balance of original new vehicle warranty (4-Year/50,000-Miles), 24-Hour BMW Roadside Assistance, Comprehensive Inspection and Reconditioning, Trip-Interruption Services, Trip-Planning Services BUY FROM AN AWARD WINNING DEALER Family owned for over 50 years, Competition BMW of Smithtown has been providing exceptional customer service to the Smithtown, New York area. We strive to exceed your expectations when buying your next car. The experienced and professional sales team at Competition BMW isn't satisfied until you are driving off of the lot in the car that is perfect for you, and your lifestyle. Horsepower calculations based on trim engine configuration. Fuel economy calculations based on original manufacturer data for trim engine configuration. Please confirm the accuracy of the included equipment by calling us prior to purchase. BMW Certified, CARFAX 1-Owner. EPA 34 MPG Hwy/22 MPG City! NAV, Sunroof, Heated Seats, All Wheel Drive, Rear Air, Onboard Communications System, CD Player, iPod/MP3 Input, DRIVER ASSISTANCE PACKAGE, COLD WEATHER PACKAGE CLICK NOW! KEY FEATURES INCLUDE Turbocharged, Aluminum Wheels, Dual Zone A/C Child Safety Locks, Steering Wheel Controls, Electronic Stability Control, Heated Mirrors, Bucket Seats. OPTION PACKAGES PREMIUM PACKAGE LED Headlights, Moonroof, Satellite Radio, Comfort Access Keyless Entry, Lumbar Support, NAVIGATION SYSTEM Remote Services, Advanced Real-Time Traffic Information, BMW Online & BMW Apps, Instrument Cluster w/Extended Contents, DRIVER ASSISTANCE PACKAGE Rear View Camera, Park Distance Control, COLD WEATHER PACKAGE Heated Front Seats, Heated Rear Seats, Heated Steering Wheel. BMW 328i xDrive with Black Sapphire Metallic exterior and Ven Beige Lthr/Oyster hglght interior features a 4 Cylinder Engine with 240 HP at 5000 RPM*. EXPERTS CONCLUDE Great Gas Mileage: 34 MPG Hwy. BUY WITH CONFIDENCE Unlimited Miles for 1-Year plus the balance of original new vehicle warranty (4-Year/50,000-Miles), 24-Hour BMW Roadside Assistance, Comprehensive Inspection and Reconditioning, Trip-Interruption Services, Trip-Planning Services WHO WE ARE Family owned for over 50 years, Competition BMW of Smithtown has been providing exceptional customer service to the Smithtown, New York area. We strive to exceed your expectations when buying your next car. The experienced and professional sales team at Competition BMW isn't satisfied until you are driving off of the lot in the car that is perfect for you, and your lifestyle. Horsepower calculations based on trim engine configuration. Fuel economy calculations based on original manufacturer data for trim engine configuration. Please confirm the accuracy of the included equipment by calling us prior to purchase. CARFAX 1-Owner, BMW Certified, ONLY 37,156 Miles! EPA 34 MPG Hwy/22 MPG City! Nav System, Moonroof, Heated Seats, All Wheel Drive, CD Player, Onboard Communications System, iPod/MP3 Input, Rear Air, Turbo Charged Engine CLICK NOW! KEY FEATURES INCLUDE Turbocharged, Dual Zone A/C. Child Safety Locks, Steering Wheel Controls, Electronic Stability Control, Heated Mirrors, Bucket Seats. OPTION PACKAGES PREMIUM PACKAGE LED Headlights, Satellite Radio, Comfort Access Keyless Entry, Lumbar Support, NAVIGATION SYSTEM Remote Services, Advanced Real-Time Traffic Information, BMW Online & BMW Apps, Instrument Cluster w/Extended Contents, DRIVER ASSISTANCE PACKAGE Rear View Camera, Park Distance Control, WHEELS: 18 X 8.0 DOUBLE-SPOKE (STYLE 397) Light alloy, Tires: P225/45R18 All Season, PARKING ASSISTANT, HEATED FRONT SEATS. BMW 328i xDrive with Platinum Silver Metallic exterior and Black interior features a 4 Cylinder Engine with 240 HP at 5000 RPM*. PURCHASE WITH CONFIDENCE Unlimited Miles for 1-Year plus the balance of original new vehicle warranty (4-Year/50,000-Miles), 24-Hour BMW Roadside Assistance, Comprehensive Inspection and Reconditioning, Trip-Interruption Services, Trip-Planning Services VISIT US TODAY Family owned for over 50 years, Competition BMW of Smithtown has been providing exceptional customer service to the Smithtown, New York area. We strive to exceed your expectations when buying your next car. The experienced and professional sales team at Competition BMW isn't satisfied until you are driving off of the lot in the car that is perfect for you, and your lifestyle. Horsepower calculations based on trim engine configuration. Fuel economy calculations based on original manufacturer data for trim engine configuration. Please confirm the accuracy of the included equipment by calling us prior to purchase. CARFAX 1-Owner, BMW Certified, LOW MILES - 35,691! EPA 34 MPG Hwy/22 MPG City! Nav System, Moonroof, Heated Seats, Rear Air, iPod/MP3 Input, CD Player, Onboard Communications System, All Wheel Drive, COLD WEATHER PACKAGE READ MORE! KEY FEATURES INCLUDE Turbocharged, Aluminum Wheels, Dual Zone A/C Steering Wheel Controls, Child Safety Locks, Heated Mirrors, Electronic Stability Control, Bucket Seats. OPTION PACKAGES PREMIUM PACKAGE LED Headlights, Satellite Radio, Comfort Access Keyless Entry, Lumbar Support, NAVIGATION SYSTEM Remote Services, Advanced Real-Time Traffic Information, BMW Online & BMW Apps, Instrument Cluster w/Extended Contents, COLD WEATHER PACKAGE Heated Front Seats, Heated Rear Seats, Heated Steering Wheel. BMW 328i xDrive with Glacier Silver Metallic exterior and Black Dak Lthr w/ Oyster hglgt interior features a 4 Cylinder Engine with 240 HP at 5000 RPM*. EXPERTS CONCLUDE Great Gas Mileage: 34 MPG Hwy. PURCHASE WITH CONFIDENCE Unlimited Miles for 1-Year plus the balance of original new vehicle warranty (4-Year/50,000-Miles), 24-Hour BMW Roadside Assistance, Comprehensive Inspection and Reconditioning, Trip-Interruption Services, Trip-Planning Services OUR OFFERINGS Family owned for over 50 years, Competition BMW of Smithtown has been providing exceptional customer service to the Smithtown, New York area. We strive to exceed your expectations when buying your next car. The experienced and professional sales team at Competition BMW isn't satisfied until you are driving off of the lot in the car that is perfect for you, and your lifestyle. Horsepower calculations based on trim engine configuration. Fuel economy calculations based on original manufacturer data for trim engine configuration. Please confirm the accuracy of the included equipment by calling us prior to purchase. CARFAX 1-Owner, BMW Certified, GREAT MILES 18,306! FUEL EFFICIENT 33 MPG Hwy/22 MPG City! Heated Seats, Moonroof, Panoramic Roof, Rear Air, Power Liftgate, Onboard Communications System, CD Player, iPod/MP3 Input, Turbo Charged AND MORE! KEY FEATURES INCLUDE Sunroof, All Wheel Drive, Turbocharged, Aluminum Wheels, Dual Zone A/C Rear Spoiler, MP3 Player, Steering Wheel Controls, Child Safety Locks, Heated Mirrors. OPTION PACKAGES PREMIUM PACKAGE Satellite Radio, Comfort Access Keyless Entry, Lumbar Support, DRIVER ASSISTANCE PACKAGE Rear View Camera, Park Distance Control, COLD WEATHER PACKAGE Heated Front Seats, Heated Rear Seats, Heated Steering Wheel, Retractable High-Intensity Headlight Washers, DARK BURL WALNUT WOOD TRIM. BMW 328i xDrive with Mineral Grey Metallic exterior and Black Dakota Leather interior features a 4 Cylinder Engine with 240 HP at 5000 RPM*. EXPERTS ARE SAYING newCarTestDrive.com explains In any BMW 3 Series variant Great Gas Mileage: 33 MPG Hwy. PURCHASE WITH CONFIDENCE Unlimited Miles for 1-Year plus the balance of original new vehicle warranty (4-Year/50,000-Miles), 24-Hour BMW Roadside Assistance, Comprehensive Inspection and Reconditioning, Trip-Interruption Services, Trip-Planning Services WHY BUY FROM US Family owned for over 50 years, Competition BMW of Smithtown has been providing exceptional customer service to the Smithtown, New York area. We strive to exceed your expectations when buying your next car. The experienced and professional sales team at Competition BMW isn't satisfied until you are driving off of the lot in the car that is perfect for you, and your lifestyle. Horsepower calculations based on trim engine configuration. Fuel economy calculations based on original manufacturer data for trim engine configuration. Please confirm the accuracy of the included equipment by calling us prior to purchase. CARFAX 1-Owner, BMW Certified, GREAT MILES 25,811! FUEL EFFICIENT 34 MPG Hwy/22 MPG City! Navigation, Sunroof, Heated Seats, All Wheel Drive, Rear Air, Onboard Communications System, CD Player, iPod/MP3 Input, Turbo Charged CLICK ME! KEY FEATURES INCLUDE Turbocharged, Aluminum Wheels, Dual Zone A/C Steering Wheel Controls, Child Safety Locks, Heated Mirrors, Electronic Stability Control, Bucket Seats. OPTION PACKAGES PREMIUM PACKAGE LED Headlights, Moonroof, Satellite Radio, Comfort Access Keyless Entry, Lumbar Support, NAVIGATION SYSTEM Remote Services, Advanced Real-Time Traffic Information, BMW Online & BMW Apps, Instrument Cluster w/Extended Contents, DRIVER ASSISTANCE PACKAGE Rear View Camera, Park Distance Control, HEATED FRONT SEATS, PARKING ASSISTANT. BMW 328i xDrive with Platinum Silver Metallic exterior and Black SensaTec interior features a 4 Cylinder Engine with 240 HP at 5000 RPM*. VEHICLE REVIEWS Great Gas Mileage: 34 MPG Hwy. SHOP WITH CONFIDENCE Unlimited Miles for 1-Year plus the balance of original new vehicle warranty (4-Year/50,000-Miles), 24-Hour BMW Roadside Assistance, Comprehensive Inspection and Reconditioning, Trip-Interruption Services, Trip-Planning Services BUY FROM AN AWARD WINNING DEALER Family owned for over 50 years, Competition BMW of Smithtown has been providing exceptional customer service to the Smithtown, New York area. We strive to exceed your expectations when buying your next car. The experienced and professional sales team at Competition BMW isn't satisfied until you are driving off of the lot in the car that is perfect for you, and your lifestyle. Horsepower calculations based on trim engine configuration. Fuel economy calculations based on original manufacturer data for trim engine configuration. Please confirm the accuracy of the included equipment by calling us prior to purchase. EPA 32 MPG Hwy/22 MPG City! CARFAX 1-Owner, BMW Certified, GREAT MILES 20,274! NAV, Heated Seats, Sunroof, CD Player, Onboard Communications System, Dual Zone A/C, All Wheel Drive, ULTIMATE PACKAGE, COLD WEATHER PACKAGE CLICK NOW! KEY FEATURES INCLUDE Turbocharged, Aluminum Wheels Rear Spoiler, Steering Wheel Controls, Child Safety Locks, Electronic Stability Control, Heated Mirrors. OPTION PACKAGES ULTIMATE PACKAGE Rear View Camera, Remote Services, Universal Garage-Door Opener, BMW Online & BMW Apps, Park Distance Control, Satellite Radio, Lumbar Support, Comfort Access Keyless Entry, Voice-Command, Auto-Dimming Interior & Exterior Mirrors, Auto-Dimming Rearview Mirror, Navigation System, BMW Apps, Enhanced USB & Bluetooth w/Smartphone Integration, Power Front Seats w/Driver Seat Memory, Real Time Traffic Information, Panoramic Moonroof, Interior Mirror w/Compass, Ambiance Lighting, COLD WEATHER PACKAGE Heated Front Seats, Heated Steering Wheel, Retractable Headlight Washers. SHOP WITH CONFIDENCE Unlimited Miles for 1-Year plus the balance of original new vehicle warranty (4-Year/50,000-Miles), 24-Hour BMW Roadside Assistance, Comprehensive Inspection and Reconditioning, Trip-Interruption Services, Trip-Planning Services MORE ABOUT US Family owned for over 50 years, Competition BMW of Smithtown has been providing exceptional customer service to the Smithtown, New York area. We strive to exceed your expectations when buying your next car. The experienced and professional sales team at Competition BMW isn't satisfied until you are driving off of the lot in the car that is perfect for you, and your lifestyle. Horsepower calculations based on trim engine configuration. Fuel economy calculations based on original manufacturer data for trim engine configuration. Please confirm the accuracy of the included equipment by calling us prior to purchase. CARFAX 1-Owner, BMW Certified, LOW MILES - 23,620! FUEL EFFICIENT 34 MPG Hwy/22 MPG City! Nav System, Moonroof, Heated Seats, All Wheel Drive, Rear Air, Onboard Communications System, CD Player, iPod/MP3 Input, Aluminum Wheels SEE MORE! KEY FEATURES INCLUDE Turbocharged, Aluminum Wheels, Dual Zone A/C. Child Safety Locks, Steering Wheel Controls, Electronic Stability Control, Heated Mirrors, Bucket Seats. OPTION PACKAGES PREMIUM PACKAGE LED Headlights, Satellite Radio, Comfort Access Keyless Entry, Lumbar Support, NAVIGATION SYSTEM Remote Services, Advanced Real-Time Traffic Information, BMW Online & BMW Apps, Instrument Cluster w/Extended Contents, DRIVER ASSISTANCE PACKAGE Rear View Camera, Park Distance Control, COLD WEATHER PACKAGE Heated Front Seats, Heated Rear Seats, Heated Steering Wheel. BMW 328i xDrive with Imperial Blue Metallic exterior and Ven Beige Lthr/Oyster hglght interior features a 4 Cylinder Engine with 240 HP at 5000 RPM*. BUY WITH CONFIDENCE Unlimited Miles for 1-Year plus the balance of original new vehicle warranty (4-Year/50,000-Miles), 24-Hour BMW Roadside Assistance, Comprehensive Inspection and Reconditioning, Trip-Interruption Services, Trip-Planning Services WHO WE ARE Family owned for over 50 years, Competition BMW of Smithtown has been providing exceptional customer service to the Smithtown, New York area. We strive to exceed your expectations when buying your next car. The experienced and professional sales team at Competition BMW isn't satisfied until you are driving off of the lot in the car that is perfect for you, and your lifestyle. Horsepower calculations based on trim engine configuration. Fuel economy calculations based on original manufacturer data for trim engine configuration. Please confirm the accuracy of the included equipment by calling us prior to purchase. EPA 32 MPG Hwy/22 MPG City! CARFAX 1-Owner, BMW Certified, ONLY 31,502 Miles! Sunroof, Heated Seats, All Wheel Drive, Power Liftgate, iPod/MP3 Input, Dual Zone A/C, Onboard Communications System, CD Player, RUNFLAT TIRES READ MORE! KEY FEATURES INCLUDE Turbocharged, Aluminum Wheels Rear Spoiler, MP3 Player, Remote Trunk Release, Privacy Glass, Steering Wheel Controls. OPTION PACKAGES PREMIUM PACKAGE Universal Garage-Door Opener, Auto-Dimming Interior & Driver Exterior Mirrors, Auto-Dimming Rearview Mirror, LED Headlights w/Cornering Lights, Power-Folding Mirrors, Panoramic Moonroof, Satellite Radio, Ambiance Lighting, Comfort Access Keyless Entry, Lumbar Support, LUXURY PACKAGE Fine-Wood Oak Grain Trim w/Pearl Chrome Accent, COLD WEATHER PACKAGE Heated Front Seats, TRANSMISSION: 8-SPEED STEPTRONIC AUTOMATIC sport and manual shift modes and Adaptive Transmission Control (ATC) (STD), RUNFLAT TIRES. EXPERTS RAVE Great Gas Mileage: 32 MPG Hwy. SHOP WITH CONFIDENCE Unlimited Miles for 1-Year plus the balance of original new vehicle warranty (4-Year/50,000-Miles), 24-Hour BMW Roadside Assistance, Comprehensive Inspection and Reconditioning, Trip-Interruption Services, Trip-Planning Services BUY FROM AN AWARD WINNING DEALER Family owned for over 50 years, Competition BMW of Smithtown has been providing exceptional customer service to the Smithtown, New York area. We strive to exceed your expectations when buying your next car. The experienced and professional sales team at Competition BMW isn't satisfied until you are driving off of the lot in the car that is perfect for you, and your lifestyle. Horsepower calculations based on trim engine configuration. Fuel economy calculations based on original manufacturer data for trim engine configuration. Please confirm the accuracy of the included equipment by calling us prior to purchase. BMW Certified, LOW MILES - 42,653! FUEL EFFICIENT 34 MPG Hwy/22 MPG City! Navigation, Sunroof, Heated Seats, All Wheel Drive, Rear Air, Onboard Communications System, CD Player, iPod/MP3 Input, Turbo Charged, DARK WOOD TRIM CLICK NOW! KEY FEATURES INCLUDE Navigation, Aluminum Wheels, Dual Zone A/C, Smart Device Integration MP3 Player, Steering Wheel Controls, Child Safety Locks, Heated Mirrors, Electronic Stability Control. OPTION PACKAGES PREMIUM PACKAGE Power Tailgate, Satellite Radio, Comfort Access Keyless Entry, COLD WEATHER PACKAGE Heated Front Seats, Heated Rear Seats, Heated Steering Wheel, Retractable Headlight Washers, PARK DISTANCE CONTROL, REAR VIEW CAMERA, DARK WOOD TRIM. BMW 528i xDrive with Black Sapphire Metallic exterior and Cinnamon Brown Dakota Leather interior features a 4 Cylinder Engine with 240 HP at 5000 RPM*. EXPERTS RAVE Edmunds.com explains The base front seats are some of the comfiest and most supportive found in any car Great Gas Mileage: 34 MPG Hwy. SHOP WITH CONFIDENCE Unlimited Miles for 1-Year plus the balance of original new vehicle warranty (4-Year/50,000-Miles), 24-Hour BMW Roadside Assistance, Comprehensive Inspection and Reconditioning, Trip-Interruption Services, Trip-Planning Services VISIT US TODAY Family owned for over 50 years, Competition BMW of Smithtown has been providing exceptional customer service to the Smithtown, New York area. We strive to exceed your expectations when buying your next car. The experienced and professional sales team at Competition BMW isn't satisfied until you are driving off of the lot in the car that is perfect for you, and your lifestyle. Horsepower calculations based on trim engine configuration. Fuel economy calculations based on original manufacturer data for trim engine configuration. Please confirm the accuracy of the included equipment by calling us prior to purchase. BMW Certified, CARFAX 1-Owner, GREAT MILES 20,486! Navigation, Moonroof, Heated Seats, iPod/MP3 Input, Keyless Start, Onboard Communications System, Satellite Radio, PARKING ASSISTANCE PACKAGE, MOONROOF, Aluminum Wheels SEE MORE! KEY FEATURES INCLUDE Heated Driver Seat, Aluminum Wheels Rear Spoiler, Keyless Entry, Remote Trunk Release, Steering Wheel Controls, Electronic Stability Control. OPTION PACKAGES TECHNOLOGY & DRIVING ASSISTANT PACKAGE BMW Connected App Compatibility, BMW Online & BMW Apps, ACC Stop & Go + Active Driving Assistant, Navigation System, MOONROOF, PARKING ASSISTANCE PACKAGE Rear View Camera, Park Distance Control, Parking Assistant, Park Assistant Package (5DU). BMW i3 with Fluid Black non metallic exterior and Deka Dark Cloth interior features a Electric Motor with 170 HP at 4800 RPM*. EXPERTS ARE SAYING You'll rarely engage the smooth, predictable-feeling brake pedal because substantial off-throttle regenerative braking handles most routine stops in a very engaging way. -Edmunds.com. PURCHASE WITH CONFIDENCE Unlimited Miles for 1-Year plus the balance of original new vehicle warranty (4-Year/50,000-Miles), 24-Hour BMW Roadside Assistance, Comprehensive Inspection and Reconditioning, Trip-Interruption Services, Trip-Planning Services VISIT US TODAY Family owned for over 50 years, Competition BMW of Smithtown has been providing exceptional customer service to the Smithtown, New York area. We strive to exceed your expectations when buying your next car. The experienced and professional sales team at Competition BMW isn't satisfied until you are driving off of the lot in the car that is perfect for you, and your lifestyle. Horsepower calculations based on trim engine configuration. Please confirm the accuracy of the included equipment by calling us prior to purchase. BMW Certified, CARFAX 1-Owner, LOW MILES - 18,629! EPA 34 MPG Hwy/22 MPG City! Nav System, Moonroof, Heated Seats, All Wheel Drive, Rear Air, Onboard Communications System, CD Player, iPod/MP3 Input, DRIVER ASSISTANCE PACKAGE CLICK NOW! KEY FEATURES INCLUDE Turbocharged, Aluminum Wheels, Dual Zone A/C. Child Safety Locks, Steering Wheel Controls, Electronic Stability Control, Heated Mirrors, Bucket Seats. OPTION PACKAGES PREMIUM PACKAGE LED Headlights, Satellite Radio, Comfort Access Keyless Entry, Lumbar Support, NAVIGATION SYSTEM Remote Services, Advanced Real-Time Traffic Information, BMW Online & BMW Apps, Instrument Cluster w/Extended Contents, DRIVER ASSISTANCE PACKAGE Rear View Camera, Park Distance Control, COLD WEATHER PACKAGE Heated Front Seats, Heated Rear Seats, Heated Steering Wheel. BMW 328i xDrive with Black Sapphire Metallic exterior and Saddle Brown Dakota Leather interior features a 4 Cylinder Engine with 240 HP at 5000 RPM*. PURCHASE WITH CONFIDENCE Unlimited Miles for 1-Year plus the balance of original new vehicle warranty (4-Year/50,000-Miles), 24-Hour BMW Roadside Assistance, Comprehensive Inspection and Reconditioning, Trip-Interruption Services, Trip-Planning Services WHY BUY FROM US Family owned for over 50 years, Competition BMW of Smithtown has been providing exceptional customer service to the Smithtown, New York area. We strive to exceed your expectations when buying your next car. The experienced and professional sales team at Competition BMW isn't satisfied until you are driving off of the lot in the car that is perfect for you, and your lifestyle. Horsepower calculations based on trim engine configuration. Fuel economy calculations based on original manufacturer data for trim engine configuration. Please confirm the accuracy of the included equipment by calling us prior to purchase. BMW Certified, CARFAX 1-Owner, GREAT MILES 31,383! FUEL EFFICIENT 34 MPG Hwy/22 MPG City! NAV, Sunroof, Heated Seats, All Wheel Drive, Power Liftgate, CD Player, iPod/MP3 Input, Rear Air, DRIVER ASSISTANCE PACKAGE, Turbo READ MORE! KEY FEATURES INCLUDE Turbocharged, Onboard Communications System, Aluminum Wheels, Dual Zone A/C. Child Safety Locks, Steering Wheel Controls, Electronic Stability Control, Heated Mirrors, Bucket Seats. OPTION PACKAGES PREMIUM PACKAGE Satellite Radio, Comfort Access Keyless Entry, Lumbar Support, NAVIGATION SYSTEM Remote Services, Advanced Real-Time Traffic Information, BMW Online & BMW Apps, Instrument Cluster w/Extended Contents, COLD WEATHER PACKAGE Heated Front Seats, Heated Rear Seats, Heated Steering Wheel, Retractable Headlight Washers, DRIVER ASSISTANCE PACKAGE Rear View Camera, Park Distance Control. BMW 428i xDrive with Mineral Grey Metallic exterior and Leather Dakota Black interior features a 4 Cylinder Engine with 240 HP at 5000 RPM*. PURCHASE WITH CONFIDENCE Unlimited Miles for 1-Year plus the balance of original new vehicle warranty (4-Year/50,000-Miles), 24-Hour BMW Roadside Assistance, Comprehensive Inspection and Reconditioning, Trip-Interruption Services, Trip-Planning Services OUR OFFERINGS Family owned for over 50 years, Competition BMW of Smithtown has been providing exceptional customer service to the Smithtown, New York area. We strive to exceed your expectations when buying your next car. The experienced and professional sales team at Competition BMW isn't satisfied until you are driving off of the lot in the car that is perfect for you, and your lifestyle. Horsepower calculations based on trim engine configuration. Fuel economy calculations based on original manufacturer data for trim engine configuration. Please confirm the accuracy of the included equipment by calling us prior to purchase. FUEL EFFICIENT 28 MPG Hwy/21 MPG City! BMW Certified, CARFAX 1-Owner, ONLY 34,829 Miles! Heated Seats, Sunroof, All Wheel Drive, Power Liftgate, iPod/MP3 Input, Dual Zone A/C, Onboard Communications System, CD Player READ MORE! KEY FEATURES INCLUDE Turbocharged, CD Player, Aluminum Wheels Rear Spoiler, MP3 Player, Keyless Entry, Privacy Glass, Remote Trunk Release. OPTION PACKAGES PANORAMIC MOONROOF, DRIVER ASSISTANCE PACKAGE Rear View Camera, Park Distance Control, HEATED FRONT SEATS, TRANSMISSION: 8-SPEED STEPTRONIC AUTOMATIC (STD), POWER FRONT BUCKET SEATS 8-way power adjustable front seats w/2-way manual headrests (STD). BMW xDrive28i with Alpine White exterior and Beige SensaTec interior features a 4 Cylinder Engine with 240 HP at 5000 RPM*. EXPERTS ARE SAYING Edmunds.com explains Room for front passengers is ample by every measure, while rear legroom is downright generous and pairs with a truly comfortable seat.. Great Gas Mileage: 28 MPG Hwy. PURCHASE WITH CONFIDENCE Unlimited Miles for 1-Year plus the balance of original new vehicle warranty (4-Year/50,000-Miles), 24-Hour BMW Roadside Assistance, Comprehensive Inspection and Reconditioning, Trip-Interruption Services, Trip-Planning Services WHY BUY FROM US Family owned for over 50 years, Competition BMW of Smithtown has been providing exceptional customer service to the Smithtown, New York area. We strive to exceed your expectations when buying your next car. The experienced and professional sales team at Competition BMW isn't satisfied until you are driving off of the lot in the car that is perfect for you, and your lifestyle. Horsepower calculations based on trim engine configuration. Fuel economy calculations based on original manufacturer data for trim engine configuration. Please confirm the accuracy of the included equipment by calling us prior to purchase. EPA 28 MPG Hwy/21 MPG City! CARFAX 1-Owner, BMW Certified, GREAT MILES 27,779! Navigation, Moonroof, Heated Seats, Turbo Charged, iPod/MP3 Input, CD Player, Power Liftgate, All Wheel Drive, Aluminum Wheels, PANORAMIC MOONROOF CLICK ME! KEY FEATURES INCLUDE Dual Zone A/C. Rear Spoiler, Keyless Entry, Privacy Glass, Remote Trunk Release, Child Safety Locks. OPTION PACKAGES NAVIGATION SYSTEM Remote Services, Advanced Real-Time Traffic Information, BMW Online & BMW Apps, PANORAMIC MOONROOF, DRIVER ASSISTANCE PACKAGE Rear View Camera, Park Distance Control, HEATED FRONT SEATS, TRANSMISSION: 8-SPEED STEPTRONIC AUTOMATIC (STD), POWER FRONT BUCKET SEATS 8-way power adjustable front seats w/2-way manual headrests (STD). BMW xDrive28i with Sparkling Brown Metallic exterior and Beige SensaTec interior features a 4 Cylinder Engine with 240 HP at 5000 RPM*. EXPERTS REPORT Edmunds.com explains Room for front passengers is ample by every measure Great Gas Mileage: 28 MPG Hwy. PURCHASE WITH CONFIDENCE Unlimited Miles for 1-Year plus the balance of original new vehicle warranty (4-Year/50,000-Miles), 24-Hour BMW Roadside Assistance, Comprehensive Inspection and Reconditioning, Trip-Interruption Services, Trip-Planning Services WHY BUY FROM US Family owned for over 50 years, Competition BMW of Smithtown has been providing exceptional customer service to the Smithtown, New York area. We strive to exceed your expectations when buying your next car. The experienced and professional sales team at Competition BMW isn't satisfied until you are driving off of the lot in the car that is perfect for you, and your lifestyle. Horsepower calculations based on trim engine configuration. Fuel economy calculations based on original manufacturer data for trim engine configuration. Please confirm the accuracy of the included equipment by calling us prior to purchase. BMW Certified, CARFAX 1-Owner, GREAT MILES 33,137! EPA 34 MPG Hwy/22 MPG City! NAV, Sunroof, Heated Seats, All Wheel Drive, Rear Air, Dual Zone A/C, Onboard Communications System, iPod/MP3 Input, DRIVER ASSISTANCE PACKAGE READ MORE! KEY FEATURES INCLUDE Navigation, Turbocharged, Smart Device Integration. MP3 Player, Child Safety Locks, Steering Wheel Controls, Heated Mirrors, Electronic Stability Control. OPTION PACKAGES PREMIUM PACKAGE Power Tailgate, Satellite Radio, Comfort Access Keyless Entry, LUXURY LINE Luxury Line (7S2), Anthracite Wood Trim, Without Lines Designation Outside, Wheels: 18 x 8.0 Multi Spoke Lt Ally (Style 454), Tires: P245/45R18 All-Season Run-Flat, DRIVER ASSISTANCE PACKAGE Rear View Camera, Head-Up Display, Park Distance Control, Instrument Cluster w/Extended Contents, COLD WEATHER PACKAGE Heated Front Seats, Heated Rear Seats, Heated Steering Wheel, Retractable Headlight Washers, harman/kardon SURROUND SOUND SYSTEM. SHOP WITH CONFIDENCE Unlimited Miles for 1-Year plus the balance of original new vehicle warranty (4-Year/50,000-Miles), 24-Hour BMW Roadside Assistance, Comprehensive Inspection and Reconditioning, Trip-Interruption Services, Trip-Planning Services MORE ABOUT US Family owned for over 50 years, Competition BMW of Smithtown has been providing exceptional customer service to the Smithtown, New York area. We strive to exceed your expectations when buying your next car. The experienced and professional sales team at Competition BMW isn't satisfied until you are driving off of the lot in the car that is perfect for you, and your lifestyle. Horsepower calculations based on trim engine configuration. Fuel economy calculations based on original manufacturer data for trim engine configuration. Please confirm the accuracy of the included equipment by calling us prior to purchase. CARFAX 1-Owner, BMW Certified, GREAT MILES 27,216! EPA 34 MPG Hwy/22 MPG City! Navigation, Moonroof, Heated Seats, All Wheel Drive, iPod/MP3 Input, CD Player, Rear Air, Power Liftgate, Turbo Charged, NAVIGATION SYSTEM READ MORE! KEY FEATURES INCLUDE Sunroof, Onboard Communications System, Dual Zone A/C Steering Wheel Controls, Child Safety Locks, Heated Mirrors, Electronic Stability Control, Bucket Seats. OPTION PACKAGES PREMIUM PACKAGE Satellite Radio, Comfort Access Keyless Entry, Lumbar Support, NAVIGATION SYSTEM Remote Services, Advanced Real-Time Traffic Information, BMW Online & BMW Apps, Instrument Cluster w/Extended Contents, DRIVER ASSISTANCE PACKAGE Rear View Camera, Park Distance Control, COLD WEATHER PACKAGE Heated Front Seats, Heated Rear Seats, Heated Steering Wheel, Retractable Headlight Washers, WHEELS: 19 X 8.0 LT ALLOY STAR-SPOKE (STYLE 407) Tires: P225/40R19 AS, PARKING ASSISTANT. EXPERTS CONCLUDE Great Gas Mileage: 34 MPG Hwy. SHOP WITH CONFIDENCE Unlimited Miles for 1-Year plus the balance of original new vehicle warranty (4-Year/50,000-Miles), 24-Hour BMW Roadside Assistance, Comprehensive Inspection and Reconditioning, Trip-Interruption Services, Trip-Planning Services MORE ABOUT US Family owned for over 50 years, Competition BMW of Smithtown has been providing exceptional customer service to the Smithtown, New York area. We strive to exceed your expectations when buying your next car. The experienced and professional sales team at Competition BMW isn't satisfied until you are driving off of the lot in the car that is perfect for you, and your lifestyle. Horsepower calculations based on trim engine configuration. Fuel economy calculations based on original manufacturer data for trim engine configuration. Please confirm the accuracy of the included equipment by calling us prior to purchase. BMW Certified, CARFAX 1-Owner, ONLY 17,794 Miles! NAV, Sunroof, Heated Seats, Onboard Communications System, Turbo, Alloy Wheels, CD Player, iPod/MP3 Input, Power Liftgate, RUNFLAT TIRES, All Wheel Drive, PREMIUM PACKAGE CLICK NOW! KEY FEATURES INCLUDE Turbocharged, Aluminum Wheels, Dual Zone A/C Rear Spoiler, Privacy Glass, Remote Trunk Release, Child Safety Locks, Steering Wheel Controls. OPTION PACKAGES PREMIUM PACKAGE Universal Garage-Door Opener, Auto-Dimming Interior & Driver Exterior Mirrors, Auto-Dimming Rearview Mirror, LED Headlights w/Cornering Lights, Power-Folding Mirrors, Panoramic Moonroof, Satellite Radio, Ambiance Lighting, Comfort Access Keyless Entry, Lumbar Support, TECHNOLOGY PACKAGE Remote Services, Navigation w/Touchpad Controller, Head-Up Display, Advanced Real-Time Traffic Information, BMW Connected App Compatibility, BMW Online & BMW Apps, Enhanced USB & Bluetooth w/Smartphone Integration, DRIVER ASSISTANCE PACKAGE Rear View Camera, Park Distance Control, Parking Assistant, COLD WEATHER PACKAGE Heated Front Seats, FINE-WOOD 'FINELINE' TRIM W/PEARL CHROME ACCENT, TRANSMISSION: 8-SPEED STEPTRONIC AUTOMATIC sport and manual shift modes and Adaptive Transmission Control (ATC) (STD) VISIT US TODAY Family owned for over 50 years, Competition BMW of Smithtown has been providing exceptional customer service to the Smithtown, New York area. We strive to exceed your expectations when buying your next car. The experienced and professional sales team at Competition BMW isn't satisfied until you are driving off of the lot in the car that is perfect for you, and your lifestyle. Horsepower calculations based on trim engine configuration. Fuel economy calculations based on original manufacturer data for trim engine configuration. Please confirm the accuracy of the included equipment by calling us prior to purchase. Ready to drive home to Commack in your next BMW? We want you to drive home in a pre-owned car you feel is reliable and capable, which is why we thoroughly inspect each and every vehicle for quality. Our team will walk you through every step of the pre-owned car-buying process – we’ll even be there for you after you leave the lot! Rely on our service department to maintain your pre-owned car, and feel free to contact our Saint James dealership team in the meantime with any questions about our inventory of pre-owned BMW models and more.